The Sonnini Manuscript better known as The Long Lost Chapter of The Acts of the Apostles contains the account of Paul's journey in Spain and Britain. 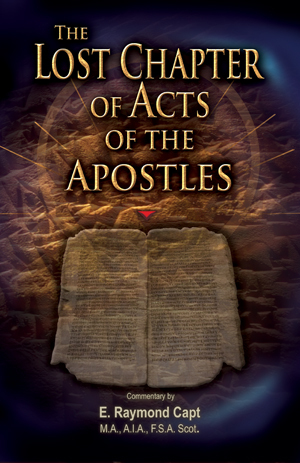 The document purporting to be the concluding portion of the Acts of the Apostles covers a portion of the period after Paul's two years enforced residence in Rome in his own hired house. It is written in the style of the Acts and reads like a continuation. The Bible gives a fairly complete account of the life of St. Paul; his conversion his missionary journeys and his martyrdom in Rome. But there is a period of time approximately six years of which the Bible remains silent. This would be the period after his trial and acquittal in Rome and before his return to Rome to cast his fate with his many converts. These were his Christian brethren who were being put to death by the thousands during the reign of Emperor Nero. It would be reasonable to assume that during this period Paul visited Spain as he had planned (Rom. 15:28) and perhaps re-visited some of the churches in Asia Minor. But Paul had expressed a desire to preach the Gospel to those whom the name of Christ was not known. There can be no question that Paul had heard of the "Tin Islands" because the Romans had already conquered the greater part of Britain. The apostle could have met many in Rome and elsewhere who had been there either as traders or with the Roman army. Having journeyed so near to Britain as Spain and Gaul it is altogether reasonable to suppose that Paul would have made the short voyage across the English Channel. ...We have to say that more of our books will be available for "Kindle - (Amazon) and ibooks - (Mac) in the next few months. What a great way to over come shipping costs to foreign countries as well as the ship cost and down time in the United States. Amazon's fee for this service is more, but the overall savings and speed to the customer is great! ...and as always, THANK YOU FOR YOUR SUPPORT!